Immigrants from South Asia have higher risks of mental health problems . 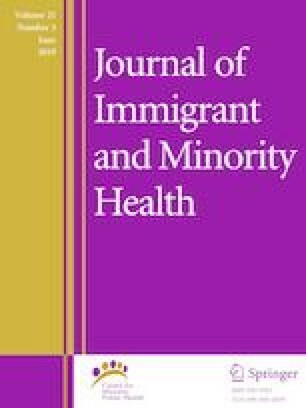 Low levels of acculturation and self-efficacy may be risk factors for depression and psychological distress in immigrants. 355 Pakistani immigrant women in Oslo, filled out a questionnaire concerning demographic variables, self-efficacy, and psychological distress. A bidimensional acculturation variable was constructed. A stepwise logistic regression model was used to investigate the importance of the level of acculturation and self-efficacy on psychological distress. Low levels of acculturation were reported. Integrated participants reported significantly less psychological distress on the depression score and total score than separated and marginalized participants. The model showed that assimilated or marginalized participants had a fourth and three times higher risk of high levels of distress compared with integrated participants. The possibility to be bicultural seems important in order to ensure mental health and national policies should promote an integrative and multiculturalism approach. This project was founded by the Norwegian research council (Grant No. : 204590). We want to thank Nina Konglevoll with help with punching the data. We also want to thank all the participants in the study. The study was approved by the Regional Committees for Medical and Health Research Ethics (REC), REC South East, and was performed in accordance with the principles of the Helsinki Declaration. The participants received written and oral information in their mother tongue. All information from the participants was treated as strictly confidential, and the participants gave their written consent to the project before the intervention started. SSB. Levekår blant innvandrere i Norge, Rapporter 2017/13, pp. 191–3. 2016. http://www.ssb.no/sosiale-forhold-og-kriminalitet/artikler-og-publikasjoner/levekar-blant-innvandrere-i-norge-2016. Accessed 19 June 2018.